Carrie Albright is the Associate Director of Services at Hanapin Marketing and loves sharing her knowledge of innovative marketing tactics and strategies. She’s worked with a variety of clients and businesses in retail, hospitality, insurance, and airlines. 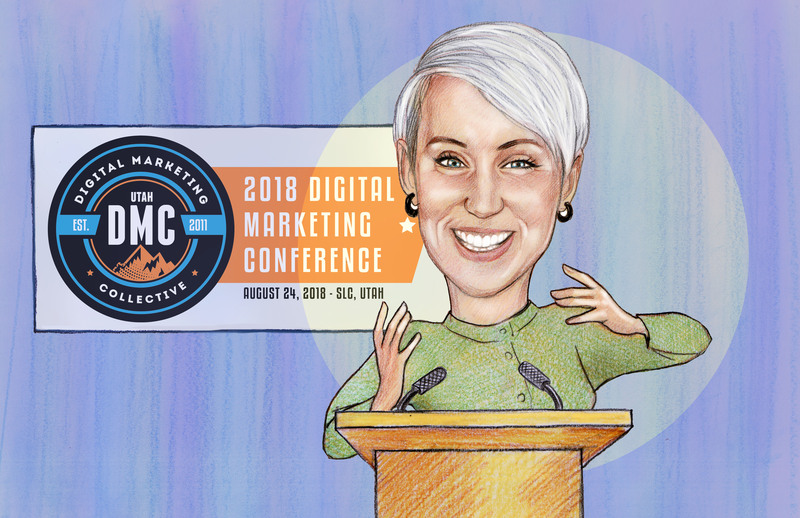 Carrie came to DMC 2018 to share her insights on how to make sense of programmatic marketing. What is the overall goal of your investment? What kind of budget do you have to begin with on your programmatic journey? What level of involvement do you need or want? While keeping these questions in mind, it’s important to start with the basics. So what does programmatic really mean? Carrie took the word apart and shared the definition, which is “of the nature of or according to a program, schedule, or method.” Keeping this definition in mind, Carrie talked about how it applies to marketing, specifically media buying and PPC. In a nutshell, programmatic marketing is automated bidding on digital advertising. As you make sense of your programmatic journey, you need to first consider how a DSP, Affiliate Partner, and Self-Service dictate your decisions. Be aware of how you want to work and how much control you want over your programmatic decisions. To get your hands dirty with a DSP, Google is “The Big One.” Google is a great way to go if you’re starting out with programmatic marketing. If you don’t want to go with Google as a DSP, that’s okay. There are a lot of other vendors that have their own DSPs that can be a great option if you want to focus on a certain vertical or format. Carrie warned about the “little guys” or smaller vendors who, although cheap, don’t have as much trust or resources. She quoted Red Adair, who said: “If you think it’s expensive to hire a professional, wait until you hire an amateur.” When considering a budget for programmatic, don’t settle for cheap. Follow the basic 70/20/10 rule for budgeting (70% standard safe content, 20% moderately risky campaigns to a newer audience, 10% high-risk campaigns). Carrie Albright then shared her own experience of the frustration and confusion of programmatic marketing. 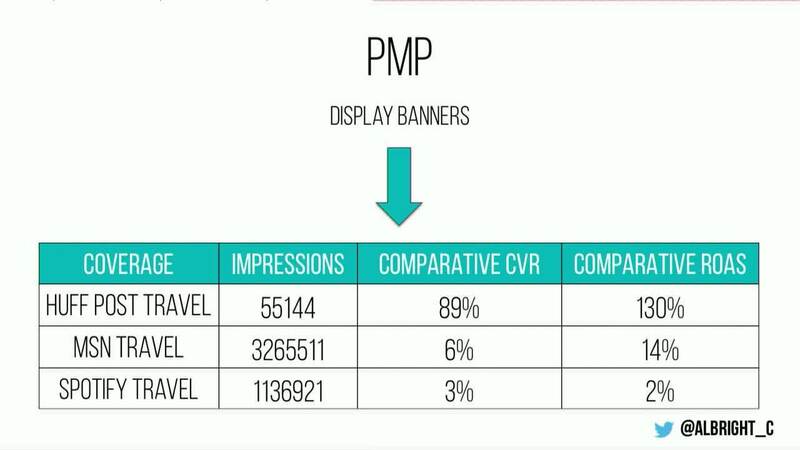 She had to track, scale, and compare the CTR and Conversion Rate of different vendors that were over display retargeting, persona targeting, branding, email retargeting, sponsored social buys, etc. She was shocked to discover at one point that their self-service resulted in more sales and a lower CPA when compared to a 3rd party vendor. They needed to do research on what methods, vendors, and DSPs would be best for them. Audience Targeting: GDN only has 1st party providers while Display Video has 1st party and thirty-five 3rd party providers. Avoid vendors that don’t allow placements or exclusions in your targeting (this could negatively impact brand safety and quality). What kind of creative should I use? Choose what you’ve already developed and invested in, and work with that first. What targeting should I consider? Look at your 1st, 2nd, and 3rd party data when considering targeting options. Because this data is crucial, it’s important you understand how often a 3rd party collects and refreshes their data. Any advice on frequency capping? Find out what kind of exposure is reaching your audience and how often it overlaps. Flush out what you’re seeing already, and apply it in your strategy. What should I do about other people claiming the successes of your efforts? Trust no one (watch for other party vendors who take credit from their own attribution platform). Fine, trust Google (or use a DMP but it isn’t cheap). If you want to see some of the picture, important a few Doubleclick/Display Video 360 efforts into Google Analytics and build modules. That way, you can see behavioral trends for those who saw an ad. Remember that attribution doesn’t have to be crystal clear, but you do want to know enough to have a good idea of what is happening. In conclusion, programmatic doesn’t have to seem like a bunch of jargon. Once you have a goal you want to achieve, understand your budget, and know what level of control you want, it will be easier to make strategic decisions that will benefit your business.